Kingfishers roof repair scrim immediately repairs roofing and guttering and is second to none for bridging gaps and cracks. Whether you are a commercial or domestic customer, this product is perfect for the job. This scrim mesh is gaining in popularity because of its outstanding adhesion at an excellent price. Wherever you need extra protection or reinforcement to your roof, the Acrypol Scrim Mesh will always impress. 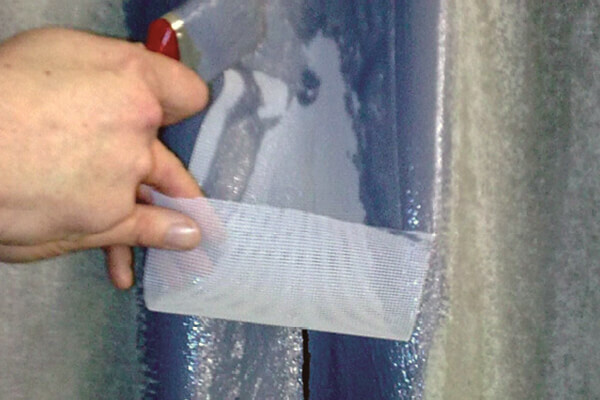 This high-quality roof repair scrim can be cut easily using scissors and forms well into most roofing materials. Because it is very thin, it can be absorbed into a single coat with no obvious seams or laps. If you are looking to prevent water leaking from your roof, we highly recommend you use this product with Fibreseal. The strength and flexibility that this roof repair scrim offers are unrivalled. It offers outstanding waterproofing properties that are superior to most similar products. I had a big crack on my asdetos garage roof. Kingfisher recommended I use this with their Fibreseal. Worked a treat. Godd product and good advice.